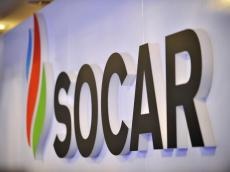 In 2018, SOCAR, through its subsidiary SOCAR Georgia Gas, plans to supply 1.8 billion cubic meters of gas to Georgia, which is 28.57 percent more than in the previous year, the company's annual report reads. In 2017 SOCAR Georgia Gas imported 1.4 billion cubic meters of gas to Georgia and SOCAR Georgia Gas Distribution supplied 194.2 million cubic meters of gas. SOCAR Georgia Gas has invested $290 million in Georgia since 2008 and provided 250,000 subscribers with gas. SOCAR currently serves 590,000 subscribers throughout Georgia. As for oil, last year another subsidiary of the Azerbaijani state-owned company SOCAR, Georgia Petroleum delivered 347 million liters of oil. The total investment of this company in Georgia was $196 million. Investments of SOCAR Georgia Gas and SOCAR Georgia Petroleum accounted for almost a third of all investments of SOCAR in Georgia. Since the beginning of its operation, SOCAR has invested over $1.5 billion in Georgian economy and paid $1.25 billion of taxes. Presently, SOCAR is the main supplier of natural gas, oil and oil products to Georgia. SOCAR's subsidiary companies are busy expanding and modernizing gas distribution systems in the country, developing a network of petrol stations under the SOCAR brand. SOCAR also owns an oil terminal in the Georgian Black Sea port of Kulevi, through which Azeri oil and oil products are transshipped to world markets. SOCAR operates 116 filling stations and employs about 4000 in Georgia.